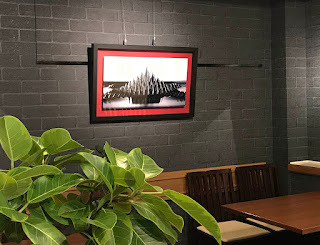 My ferrofluid artwork will be introduced on Japanese tv program "Design Code (tv asahi)" on December 22nd(Sat). This is the first ferrofluid sculpture work Sachiko Kodama created using red ferrofluid. The red ferrofluid symbolizes magma in the earth. The red ferrofluid (representing hot burning magma) is confined in a bright shiny cold glass, moving slowly. 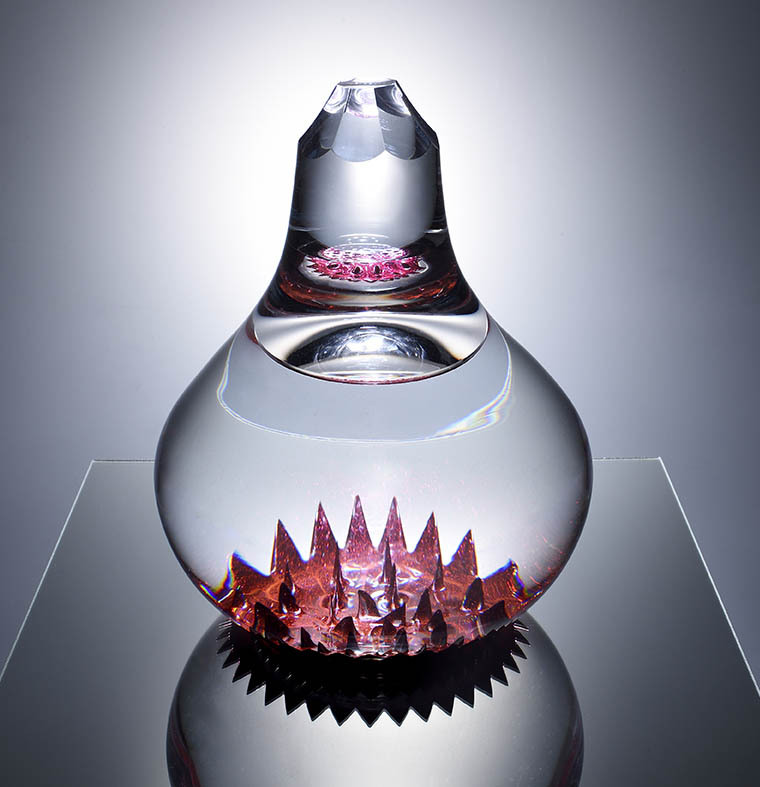 The ferrofluid floats in the middle of the glass container, reflecting the light.